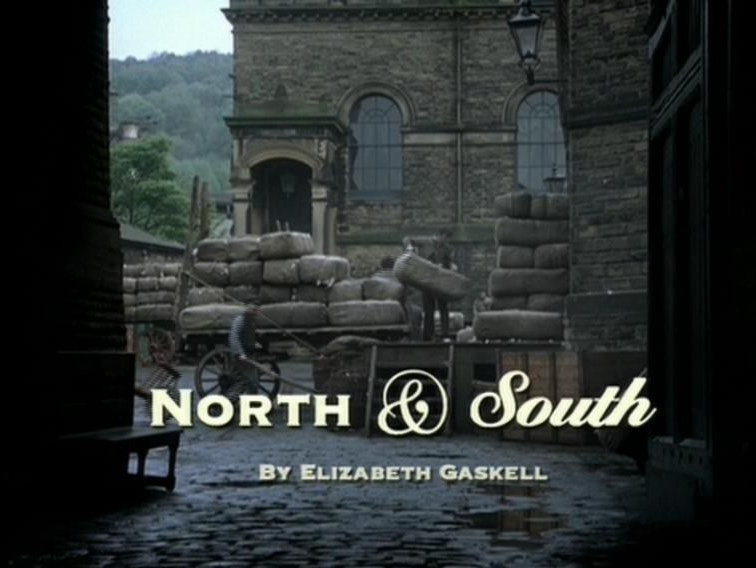 The 7 scenes I wished were included in the BBC's "North and South"
The 2004 film adaptation of Elizabeth Gaskell’s North and South is a masterpiece. I have only a few criticisms, one of them being that it was too short! There was time for more — an hour more in this world would have been wonderful. As a lover of the book, I can’t help bemoaning the absence of a few of my favorite moments. 1 - Mrs. Hale running into her husband’s arms. Although Aunt Shaw tells us that Richard and Maria Hale married for love, we never really see this affection played out. Mrs. Hale’s rather tentative and polite smile as she takes her husband’s hand in the adaptation isn’t terribly convincing. There’s a poignant moment in the book, though, where we catch a glimpse of the affectionate bond between them. It’s when Mr. Hale returns home after Margaret had been given the dirty work of telling her mother of her father’s decision to quit the clergy and move to Milton. The adaptation skips over so much of the beginning of the book, the viewer doesn’t truly get a full sense of how much strength it took for Margaret to come to Milton without crying for a week. I would have loved for the film to show Margaret busy packing crates of belongings while her mother languished in despair and her father busied himself in sorting his books — all this to give the viewer a sense that Margaret was the one who took over all the hard responsibility of moving. But what would have been truly beautiful and poignant was if the film had showed Margaret walking through the property at twilight as she says her final goodbyes to the landscape she loves so well. Gaskell’s description of it in the book is very moving. Ok, so Gaskell doesn’t exactly describe how he feels as he carries Margaret up to his drawing-room, but can you imagine the powerful emotions pulsing through Thornton as he carries a lifeless Margaret up the stairs?! This has got to be one of the most dramatic scenes you could make from this film! 4 - Margaret pacing and crying in her room as she realizes she’s in love. 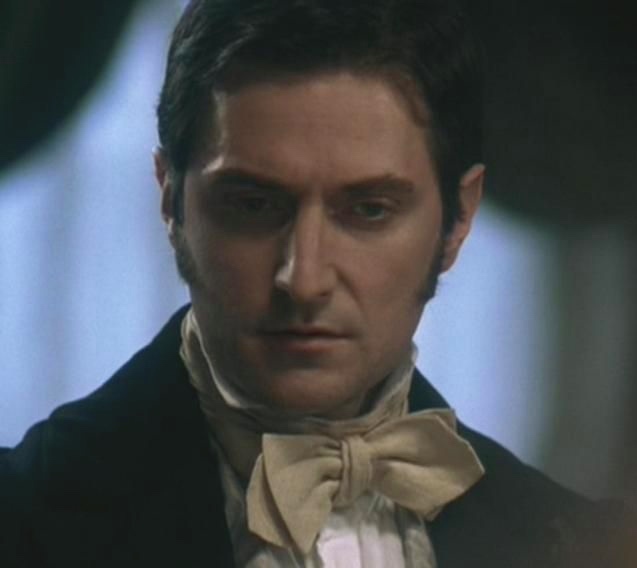 After Mrs. Thornton’s famous visit to give Margaret a tongue-lashing, Margaret runs upstairs to her room to sort out all the strong feelings rushing through her after the encounter. She realizes for the first time that Thornton thinks she’s in love with someone else—and she’s mightily distressed that he knows her to be a liar on top of it all! And so she finds herself crying as she gets ready to go out. Maybe in the film, she could whisper a few of her desperate thoughts to herself, to let the viewer know what turmoil is going on inside. The relationship between Mr. Hale and his would-be son-in-law is so beautifully portrayed in the book, I wanted to see more depth to this sweet bond shown in the film version. John is the only one Mr. Hale can really talk to during his great grief and these two men become very dear friends to each other. I would have loved to see just one brief scene in which Margaret sees her father clasp John’s hand as he is about to leave while Mr. Hale mentions how immeasurably better he feels after talking with him. Margaret’s awareness of how much her father loves and respects John, must be another binding reason for loving John. This is the scene I long most to see on film! When Thornton comes to dinner in London, he and Margaret have not seen each other for over a year. The emotional tension is incredible as each of them strives to act as though this meeting again isn’t causing tremors of pent-up anguish within them. But alas, the internal agony slips into view for a brief moment from John. And Gaskell captures the moment so well, it’s just gut-wrenching. THIS is a moment Richard Armitage would have absolutely nailed. It would have been so brilliant to see this scene performed by the 2004 cast. 7 - The kiss in Aunt Shaw’s back drawing-room. I cannot criticize the final scene of the adaptation. It’s romantic film history. The symbolism and the drama is perfect. Do I care that it’s a public display of affection and would never have happened? No, it’s too romantically perfect to condemn. And I never shall. However, if all my dreams were fulfilled, I’d love to see an alternate ending that follows that London dinner scene — the book’s more intimate ending, where the wall of misunderstanding crumbles down in private, without Henry’s peering glare! What I miss most is the playful teasing between these two serious souls that turns into that toe-tingling tender-passionate first kiss that we all have watched a hundred times from the film. I’m imagining that very same kiss as Gaskell’s “delicious silence” — but in that elegant, private sphere where no one interrupts them. Although I can imagine that without that train whistle to interrupt things, it might be very hard to stop indeed! What favorite moments from the book do you wish were included in the film version?